Utilizing proven technology to safely transfer materials in sterile and hazardous environments. 50 years ago, CRL introduced the Double Door Transfer System to the Nuclear industry. Striving to be a continued leader in industry technology, CRL continues to build upon this proven technology to develop innovative products used for rapid and repeatable transfer of materials. At present, CRL transfer products have found use in both Nuclear and Life Science applications for safe and reliable material transfer needs. The CRL Transfer System consists of two main components, the Alpha flange and the Beta assembly. 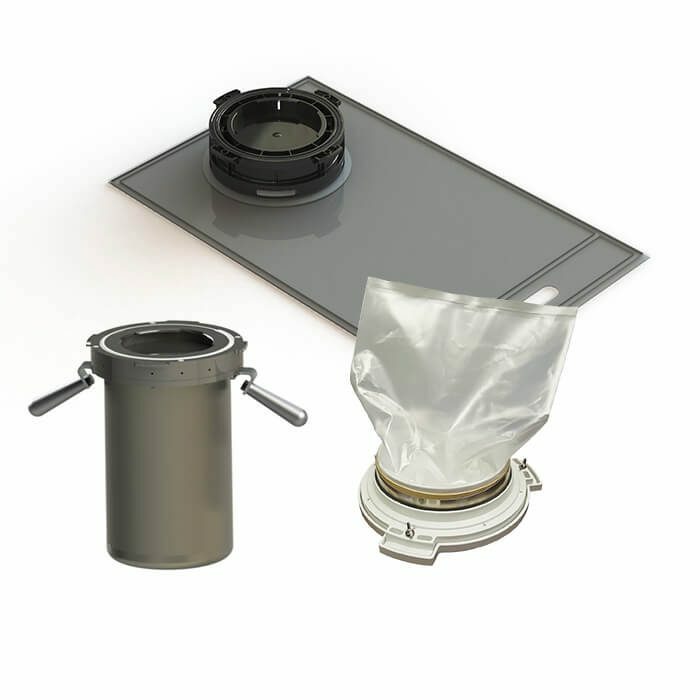 The Alpha flange is typically mounted in an isolator or glovebox wall, and the Beta assembly is mobile and used to transfer the materials. 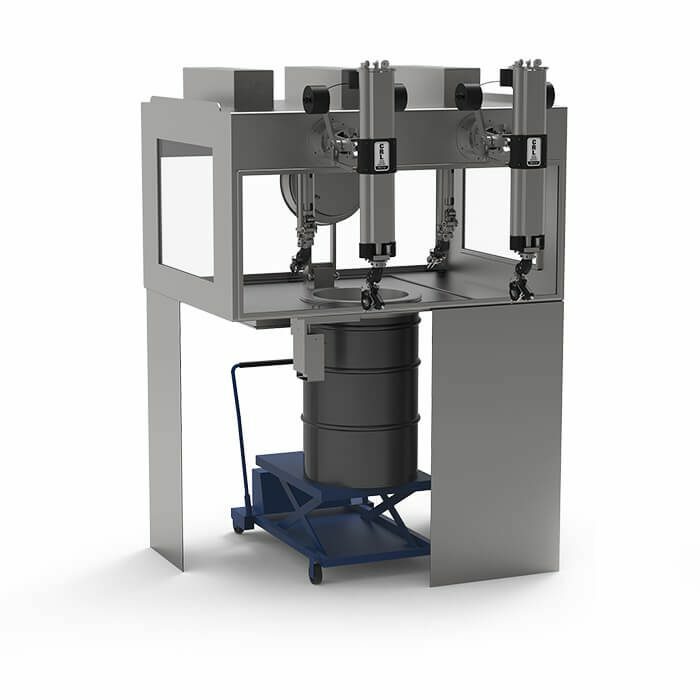 When the two assemblies are mated, materials can be rapidly transferred into and out of an environment without breaking containment. CRL Alpha flanges are available in various configurations, from 105mm to 460mm sizes. 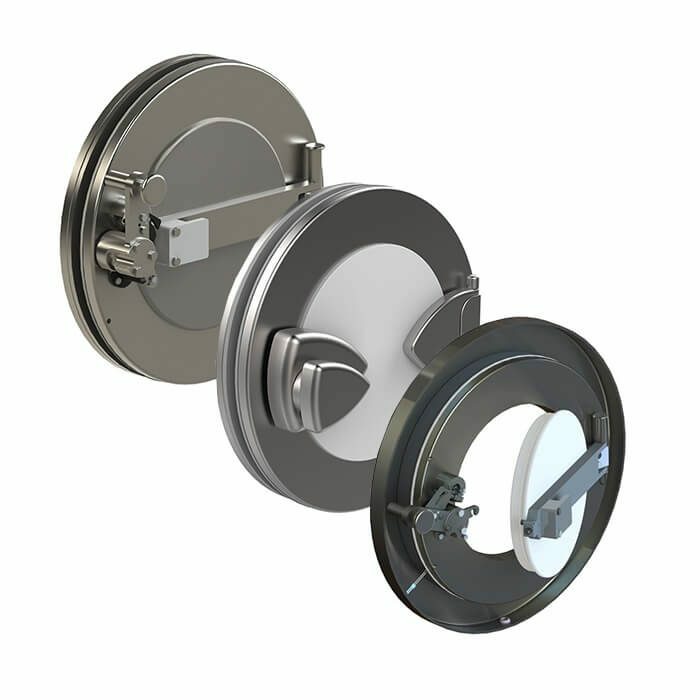 Ports are typically constructed of stainless steel and have optional door materials available to provide flexibility for various application needs. The CRL Rapid Transfer Port (RTP) features mechanical interlocks that prevent the improper operation of the transfer port which can compromise the containment and sterility of the barrier/isolator. For use where connection alignment is difficult CRL Rapid Transfer Ports can be used with flexible membrane mounts and rotating alpha or beta flanges to enable the connection of large containers or process. CRL offers a wide variety of Beta solutions to transfer products, equipment or waste into and out of isolators or gloveboxes. Visit the Beta Assemblies page for more information and a list of available products.